There are tons of reasons why someone would want to use a special character or symbol on Facebook and Twitter. Hyphens for a foreign language, a math-related post or maybe you’re just trying to be more creative. Whatever it is, you don’t have to be limited by what your keyboard allows you to do on your favorite social media sites. Learning how to add special characters, symbols, emoticons and other UTF8 symbols to Facebook and Twitter is easy too. All it takes is bookmarking a few key sites and learning a couple techniques. 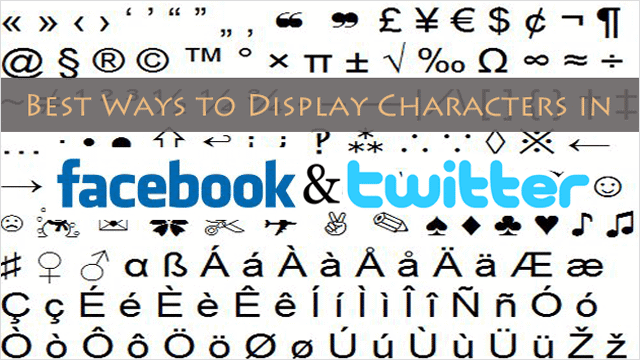 Our guide will outline how to display special characters in Facebook and Twitter. One of the easiest ways to add special characters and symbols to your Facebook and Twitter posts and statuses is by using the “Character Map” in Windows; a handy dialog box that contains every special character and symbol available in Windows, which are all usable in Facebook and Twitter. You will first need to load the Character Map. To bring it up the quickest WAY POSSIBLE, go to the “Start Menu” and type “character map” in the search field. The Character Map should show in the results, and click it once to load. After it loads, login to Facebook then go back to the Character Map to find the special character or symbol you want to use. When you find an appealing character, click it once then click the “Select” button at the bottom of the Character Map box. 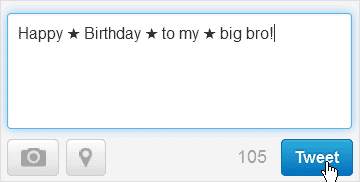 After that, click the “Copy” button next to Select and you’re all set to paste the character into Facebook or twitter. To paste the character, go to the status bar in Facebook or Twitter and type “Ctrl” + “V” or right-click and select “Paste,” then finish your status as you would normally. The process of adding a character from the Character Map into Twitter is pretty much the same. “Select” and “Copy” a character you want to use in your Tweet, then go to Twitter and compose your Tweet. Once you’re ready to use the character, type “Ctrl” + “V” again, or just right-click and select “Paste” to add a character into your Tweet. Another incredibly popular and possibly faster way to add special characters, even emoticons in some cases, as well as symbols to Facebook and Twitter is by going to a website that has every symbol and special character you may need, and just copying and pasting it. It really is that easy, and it works very well. 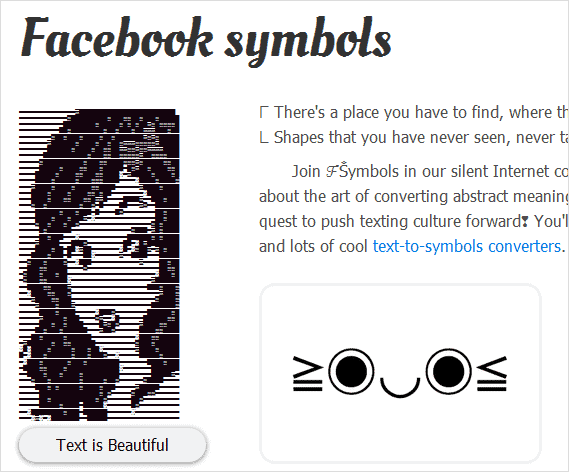 Some of the best sites for special characters and symbols is “fsymbols.com,” a website dedicated to bringing more creative and expressive symbols to Facebook and the web, and the site is free to use. Otherwise, “copypastecharacter.com” is another great site for snagging characters for your posts. After copying the symbol, just to go to Facebook or Twitter to use the symbol. Again, compose your post normally, then hit “Ctrl” + “V” or right-click and select “Paste” to insert the symbol. 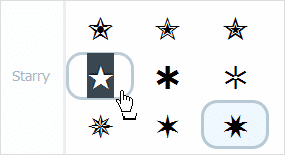 For a Twitter-specific method of quickly adding symbols to your Tweets, an easy way to do this is using the free widget, TwitterKeys.This is an easy-to-access bookmarklet that brings up symbols and special characters in a floating in-browser window so you can copy and paste a symbol whenever you want to easily. To add this bookmarklet to your browser’s toolbar, go to the page for it here. After following the instructions, TwitterKeys should now be visible in your toolbar. If you’ve always wanted to add those smiling faces to your posts in Facebook and Twitter but don’t know how, all it takes is mastering various symbol, numeric and letter combinations; also known as text shortcuts. Text shortcuts for creating an emoticon remain the most popular method, despite being able to add them via the sites mentioned above. Here are the most commonly used shortcuts for creating emoticons on social media sites. Otherwise, you can go to this site from Facebook for a complete list. Adding special characters and symbols is one of the easiest ways to add creativity and drama to your social media posts, as long as you bookmark the sites you prefer that is. It really is one of the best ways to still be uniquely expressive and stand out on social media.